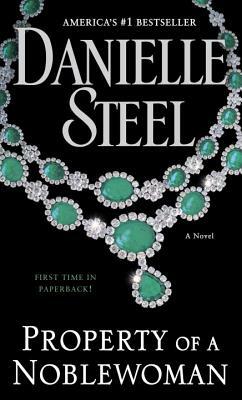 In Danielle Steel's thrilling novel, a woman's legacy -- shaped by tragedy, fortitude, and undying devotion -- transforms lives and hearts long after she is gone, and fulfills at last her most precious bequest. Two people, drawn together by chance, begin to unravel the mystery. Jane Willoughby is a law clerk at the surrogate's court and Phillip Lawton a fine arts expert for Christie's auction house. They are simply doing their jobs when they come to the bank to inspect the contents of the box. But for both Jane and Phillip the search turns personal -- and their efforts to reconstruct an enigmatic life will lead from New York to London and Paris, to Rome and Naples, and a series of stunning revelations. Eighteen-year-old Marguerite Pearson left America with a broken heart in the shadow of World War II. She found a new life in Europe but forever mourned what she left behind. As the truth about Marguerite's extraordinary history -- her forbidden love affair and her family's treachery -- is slowly revealed, more people are drawn into the puzzle that Jane and Phillip have pieced together, and one among them will inherit the most unexpected gift of all.